How many thousands of crispy tacos have you eaten in your life? If you grew up in Texas, the number is infinite. The lunch ladies at your elementary school knocked them out on a weekly basis and the schoolkids couldn’t wait til Tuesday when they hit the menu. Standard sides were Spanish rice and pureed pinto beans doused with plenty lard. Green peas were often the featured side for some mysterious reason. If the school was running short on tin cans of English peas, a listless iceberg salad was on offer with a heavy squirt of ranch dressing. Yellow processed cheese blanketed the affair. The snack bar at the little league games always had crispy tacos as did the canteen at the public swimming pool. If you had a cool uncle that took you to see the Von Erichs fight it out at the National Guard Armory you watched the matches with a tray of crunchy tacos. Church picnic? Crispy tacos were there too. Pajama parties and sleepovers always meant tacos were on the agenda. Crispy tacos are one of Tex Mex cuisine’s greatest contributions to the American palate. We drove out to Jeanfreau’s Super Market in Chalmette last week to pick up a few pounds of the best ground beef in the New Orleans metropolitan area. Larry the butcher custom grinds their meat and they take care in choosing their purveyors. They’ve been doing it since 1974, and it’s worth the drive from New Orleans. Crispy tacos are so easy to make a child could knock out a batch. 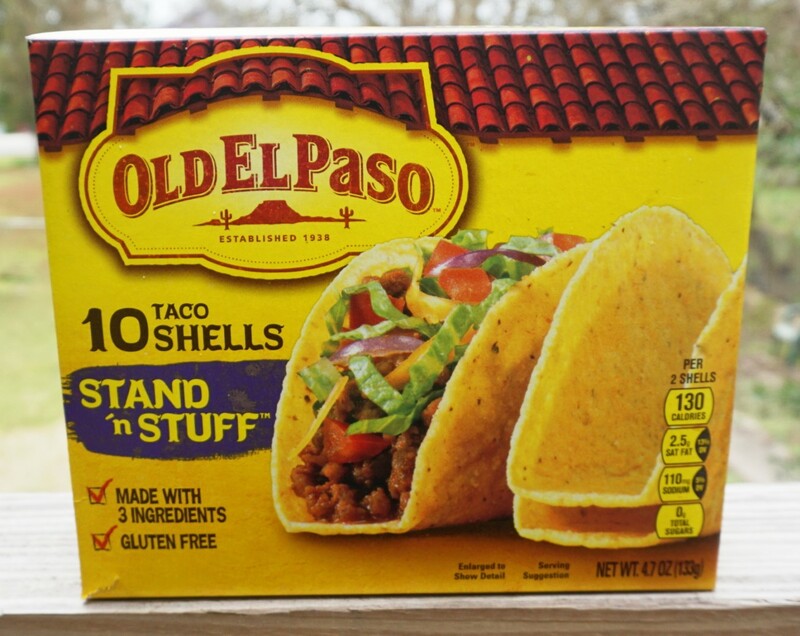 If you showed any desire to cook as a teenager your mom more than likely gave you an Ortega taco kit and let you start banging pans around in the kitchen. This is our simple, no frills, quick version of crispy tacos. Voila! Carne molida aka taco meat is now at the ready. Spoon the meat into crispy taco shells, garnish with shredded iceberg lettuce, diced tomato, yellow cheese, sour cream, hot sauce etc. Masa mix is now available in any good-sized U.S supermarket. It “tightens” the chili and gives a pleasingly creamy texture to the carne molida. It’s a crucial ingredient, and a small bag will last forever in your cupboard. Refried beans go great on crispy tacos; use them as a base on the shell before you spoon the taco meat in. If you want to start a fight, argue with a Texan over who invented the crispy taco. Californians claim that Glen Bell of Taco Bell fame invented the hard shell that defines the genre while folks in the Lone Star say that El Matamoros in Austin was the originator. Truth be told, tacos dorados have been served in old Mexico for a millennia, well before Texas or California dreamed of making a fortune off ground beef.